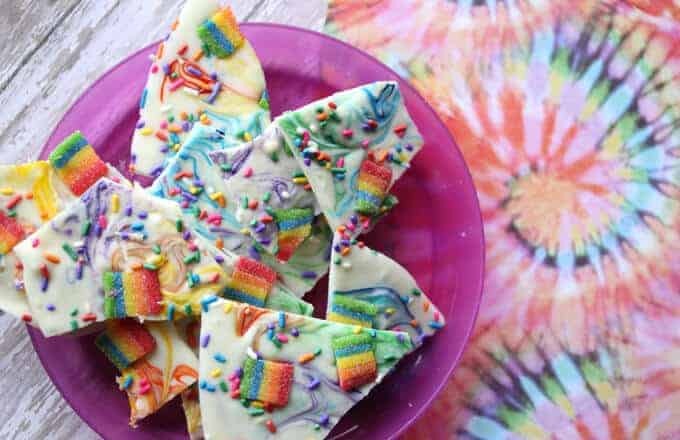 This delicious white chocolate rainbow bark is as pretty as it is tasty (and crazy easy to make)! Hey there, I’m Liz from Love & Marriage blog where I keep it real about mommyhood, kids and trying to get a good night’s sleep. 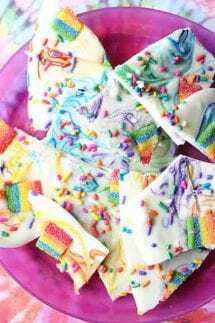 I am so excited to share my Rainbow Chocolate Bark with all of my friends at Princess Pinky Girl today! SCROLL ALL OF THE WAY DOWN FOR THE PRINTABLE RECIPE! 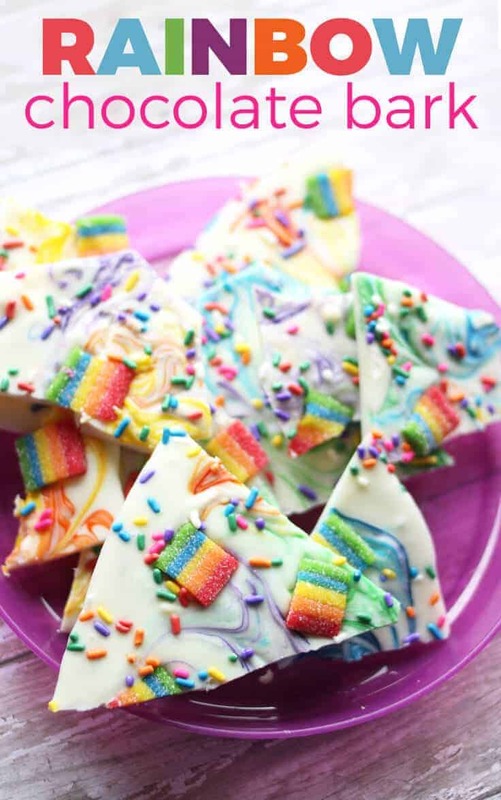 One of my very favorite desserts to make is chocolate bark. You can create an endless amount of recipes from just one basic ingredient: melted chocolate. It’s easy, it’s delicious, and it’s so beautiful that you end up with an insane amount of compliments! There really is no other dessert I can make that is this pretty. 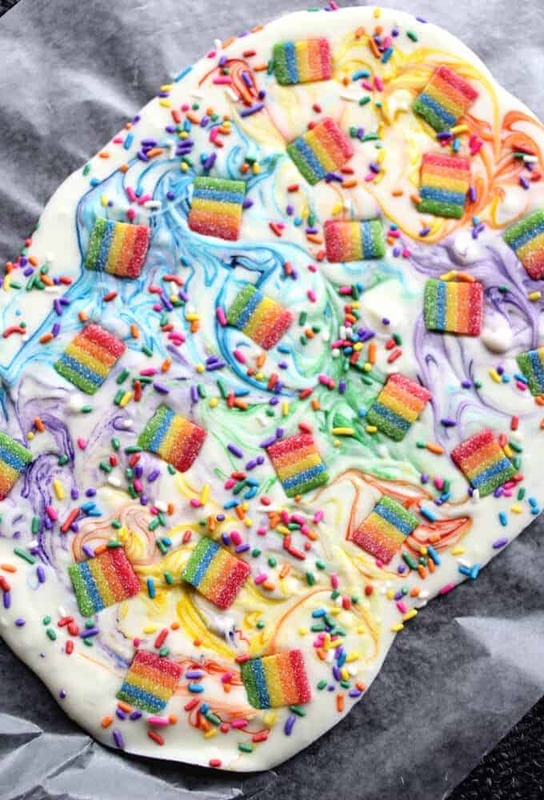 To a make chocolate bark, you simply melt chocolate and add toppings. Seriously. Even though this is incredibly simple, there is one thing you need to remember when making bark and that is to work fast. Get all of your ingredients set out and ready to go (open the candy bags, take the lid off the sprinkles…) because when you are working with melted chocolate, you don’t have a lot of time before it hardens. Also, you want to be careful not to burn the chocolate because it gets thick and weird and impossible to work with. My trick for that problem, is when you are melting your white chocolate chips, once they are mostly melted but you can see a few still in tact, stop. That way you know the chocolate isn’t burnt and you get a little extra crunch inside! 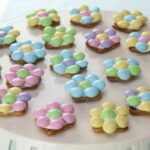 This recipe just makes a small batch, enough for my kids to snack on for a couple of days as a fun treat. 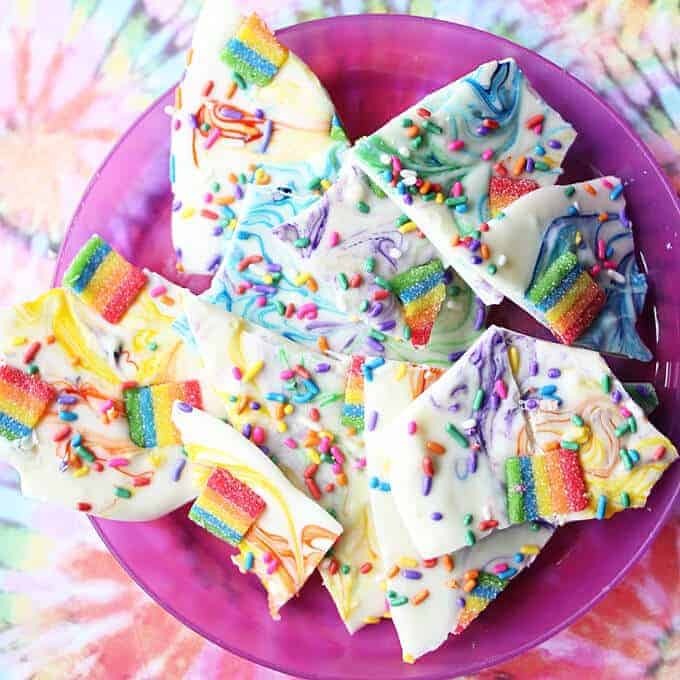 If you want to make more for a party (this would be so fun not only for a rainbow party but for a unicorn-themed party as well!) I would suggest making extra batches instead of trying to double or triple this one. Looking for even more bark recipes? We have a bunch! This recipe is a really fun one to make with kids. My daughter loves spending time in the kitchen and since this is a dessert you cannot mess up, it’s perfect for her. It is like creating artwork we can eat! It’s so fun to see how proud they are of their work. 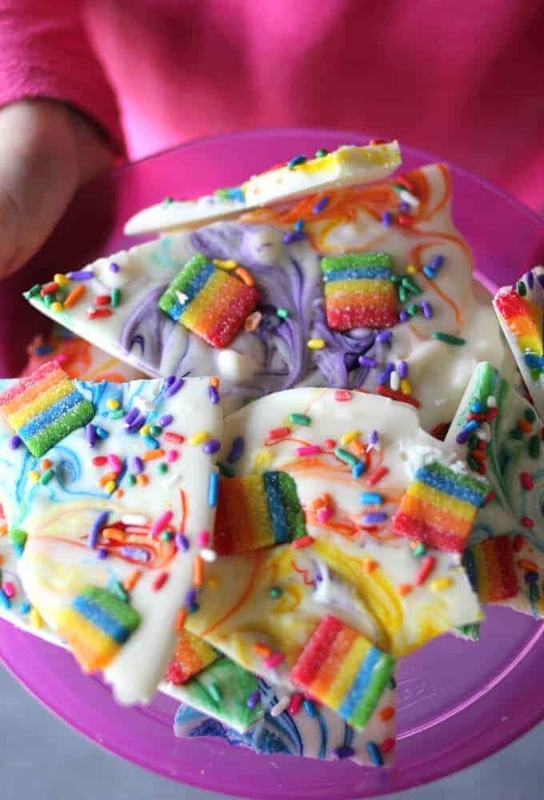 This delicious white chocolate rainbow bark is as pretty as it is tasty! Pour it onto a sheet of wax paper. Squeeze drops of food coloring over the chocolate and swirl it in with a toothpick. Place pieces of Airhead candy all over, pushing them into the chocolate. Sprinkle rainbow sprinkles all over. Place in the refrigerator until it hardens. 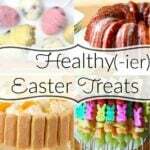 I also have some great recipes on Love and Marriage Blog – check them out! Beautiful, and look fun to make. Thanks for sharing.